Last week I spent a couple of days in Glasgow, Scotland. Within these days I checked the frame and possibilities for a new project about the Irish minority of the city. So watch out, hopefully more will come soon. Below a mural of the history of the football club Celtic FC. 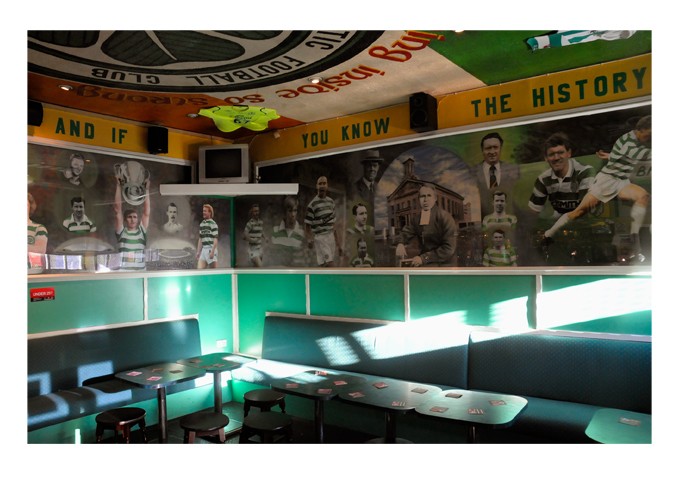 The mural is in the pub "Bar67" in the Gallowgate area.